Destination for Cricket fans around the globe. 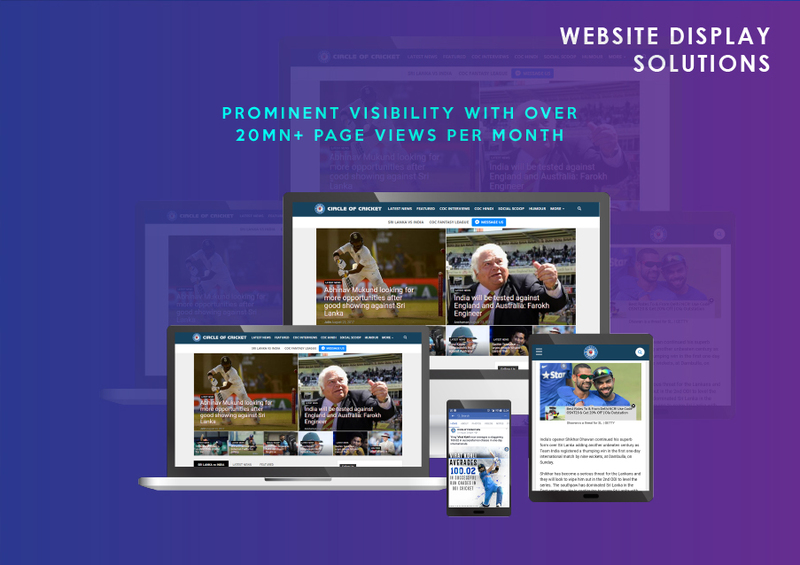 Here you will find exclusive Cricket content, news and more. 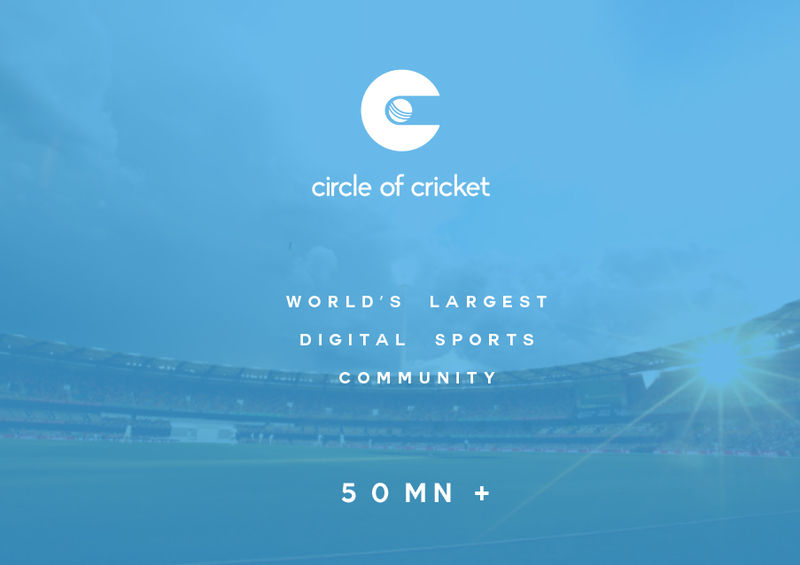 ‘Circle of Cricket’ is the world’s largest and fastest growing Cricket community and website delivering cricket news, info, analysis and sporting joy to millions of people around the globe every single day. We provide the most engaging content with daily updates, news, analysis, interviews, videos, live chat shows etc. 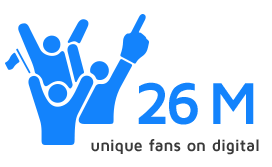 to our most dedicated and influential cricket fans from around the world, all 26 Million of them. Our cross-platform community includes our site, mobile apps, Facebook, Instagram, Twitter, YouTube, and many other digital platforms. 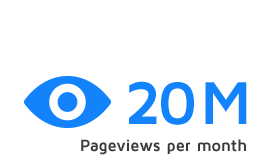 Our website alone garners on average 20 Million page views each month. 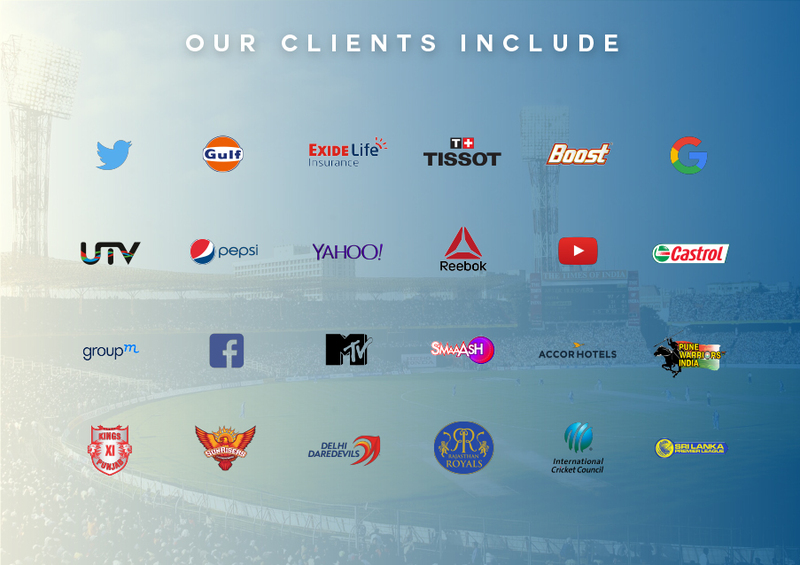 Our commitment to providing quality and creative content, in-depth analysis, interactive sessions with fans, sports journalists and cricket experts, ensures that the community grows and the reach multiplies every day. And most importantly, we bring the fans closer to their sporting heroes and give them a voice. 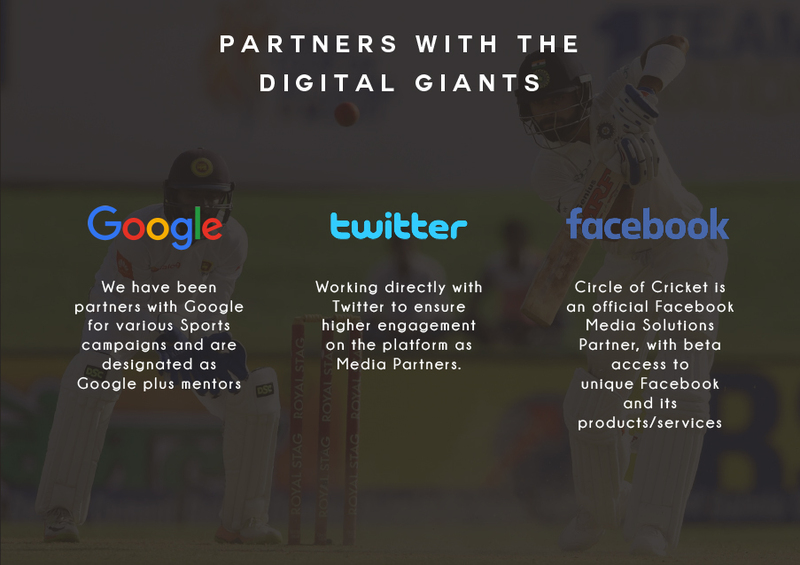 More than 70 athletes including Indian Cricketers and Sports personalities have given us the exclusive mandate to manage them on digital. 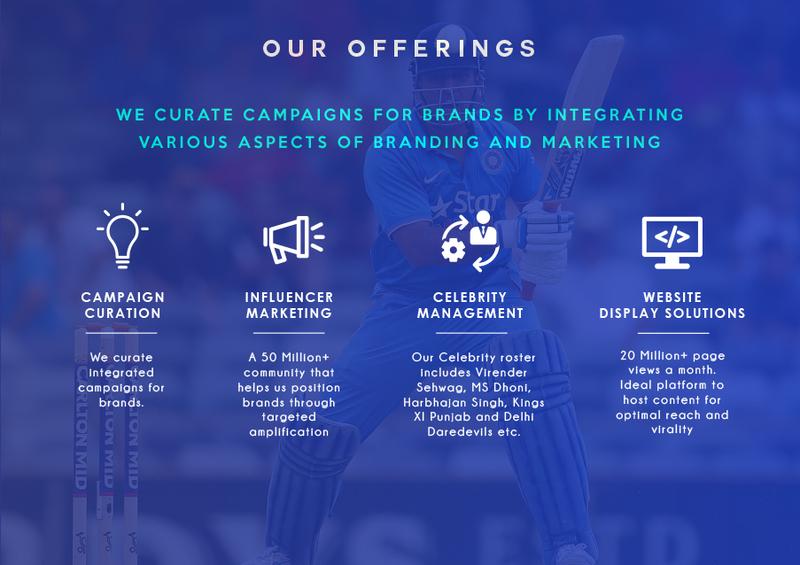 We also work very closely with multiple brands and sporting bodies in creating and promoting relevant and viral campaigns. 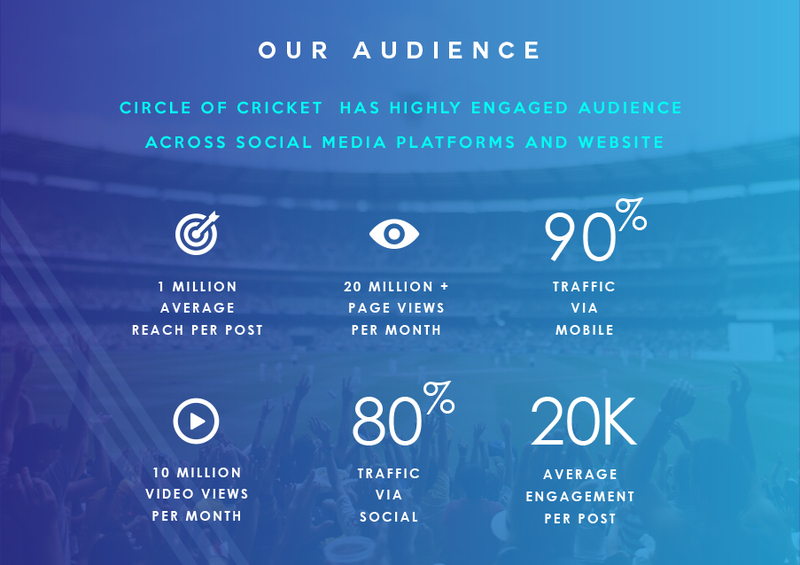 ‘Circle of Cricket’ is your go-to source for all things Cricket. 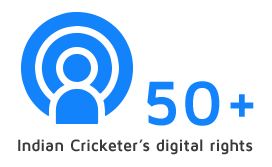 Use these official logos to represent Circle of Cricket in press and media applications. Logos should appear in their original colors only when possible, and should be otherwise unmodified. Please contact us if you have questions about proper usage of Circle of Cricket logos. 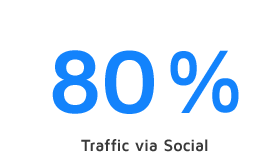 Our strength lies in being able to ascertain what content works best for your brand on our community. We can therefore provide CREATIVE CONTENT SOLUTIONS for brands to connect with their TG more meaningfully.